What’s the Project? These great gifts for crafters are sure to be a hit with anyone who loves to do a good craft project! From ribbon and fabric to Cricut machines and scissors, there is something for anyone and any budget. 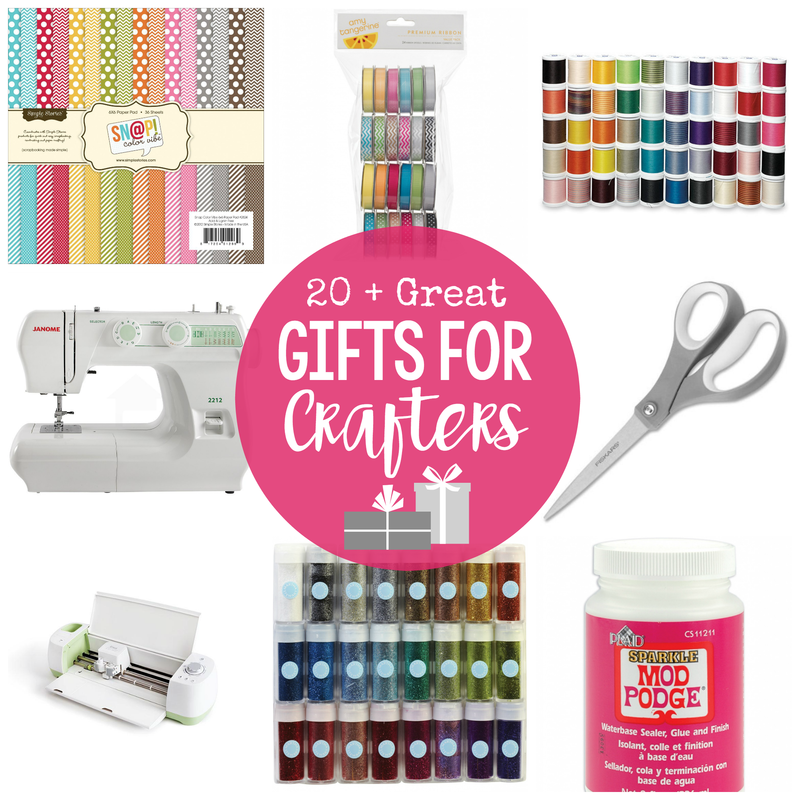 So you’ve got a Crafter on your list this year and you aren’t sure what to get her? I’m happy to help you figure out what the crafter you’re buying for this holiday season wants! And I’ve asked a team of experts (my readers) for their opinion, so this is legit. 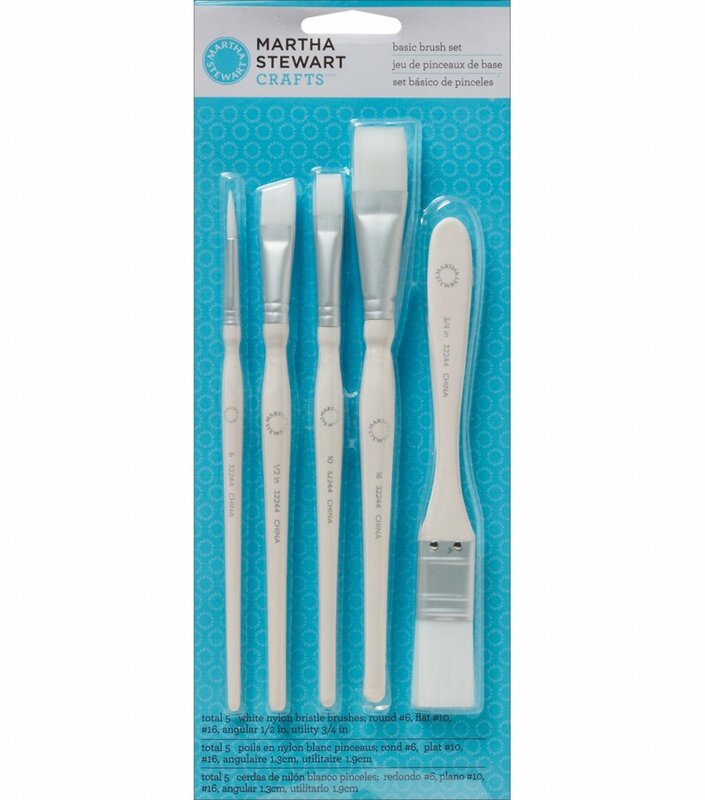 Here are some great gifts for crafters to get you started on your shopping! Here’s a look at all sorts of great gifts for crafters! So what does that crafter want? Let’s start out with the big dreams. If you are playing Santa (ahem-husband), may I suggest a few big ticket options that she’s dying to have? #1: Cutting Machine-Hands down this is my absolute favorite craft tool. She needs a cutting machine! I’m talking about a Cricut, Silhouette, Cut n Scan, something that is digital and cuts. If she doesn’t have one of these, I bet she wants one. 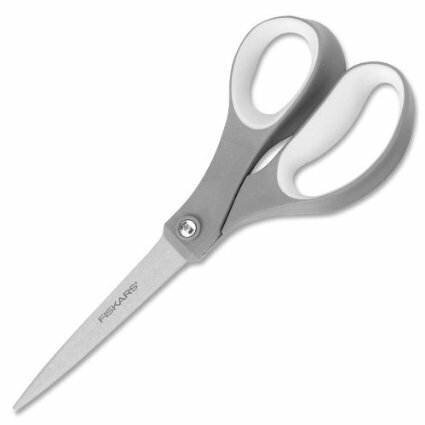 It can cut all kinds of things-paper, vinyl, fabric, leather, even light weight wood! So amazing! Let me introduce you to the brand new Cricut Explore Machine. #3: Time You’d be surprised just how many of my readers said that they wish for time to actually do the crafting! 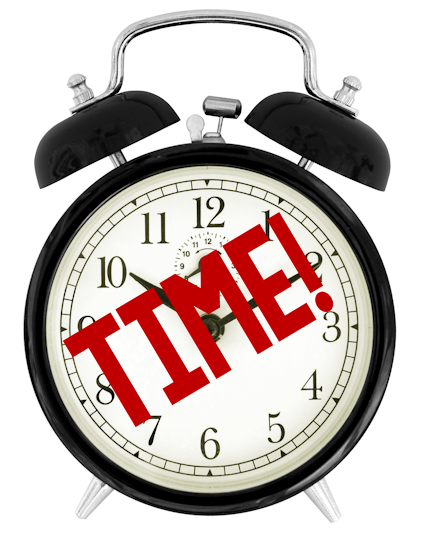 How about giving her the gift of time? Promise her a weekend of crafting or even a few hours where she has alone time to craft! #4: Gift Card! 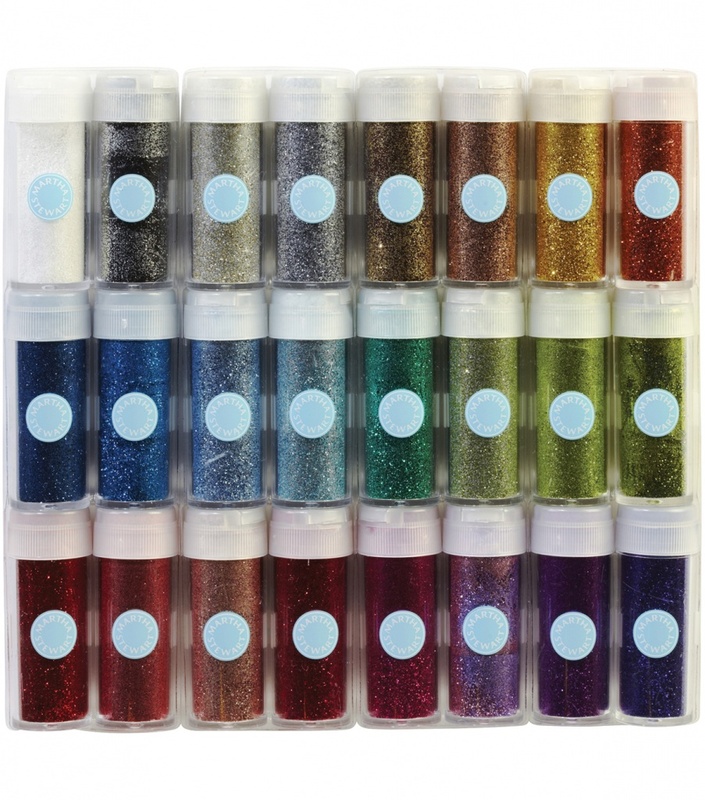 This may be obvious and too simple for you, but any crafter is going to love money that she can use to buy anything she dreams of at the craft store! My top choice for craft store shopping is Hobby Lobby. Don’t have that locally? 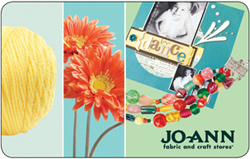 Try Joann or Michael’s Crafts. She’ll love it! 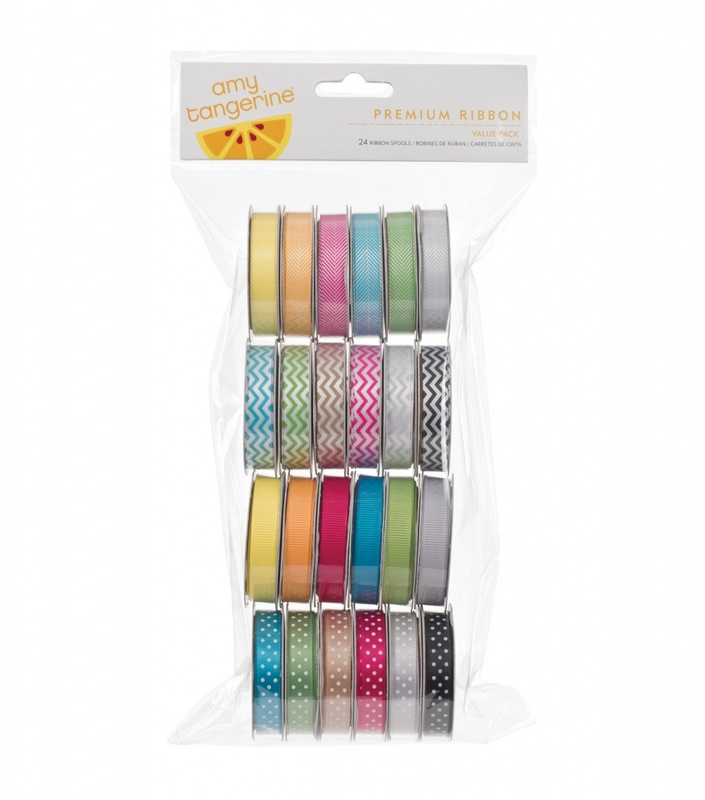 #7: Ribbon-Along the same lines, a variety of ribbon will always be used by someone who crafts. Get her a variety pack of ribbon in a variety of colors so that she always has a stash on hand to use as needed. 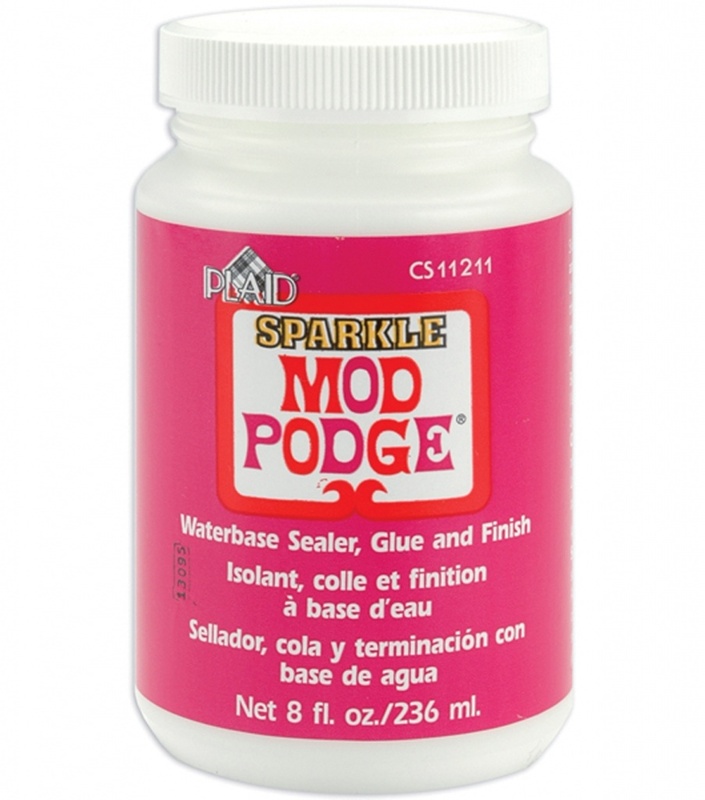 #8: Mod Podge-Decopauge (name brand on this is Mod Podge) is a fairly standard crafting supply-something handy to have on hand. If she doesn’t already have some of this, get her a few bottles. 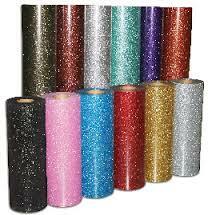 It comes in different varieties-for paper, fabric, glossy, matte, sparkle and more. #9: Self Healing Cutting Mat-This is one that many of my readers mention (frequently) that they would love to have. A nice big mat for cutting fabric, card stock, leather, poster board, whatever she is trying to cut. It’s got a grid so that you can easily cut straight lines to the size needed. This comes in a variety of sizes. Depending on the space in her home, I would go for bigger so she has plenty of room to cut. #10: Fabric-Does she sew (or wish to sew)? 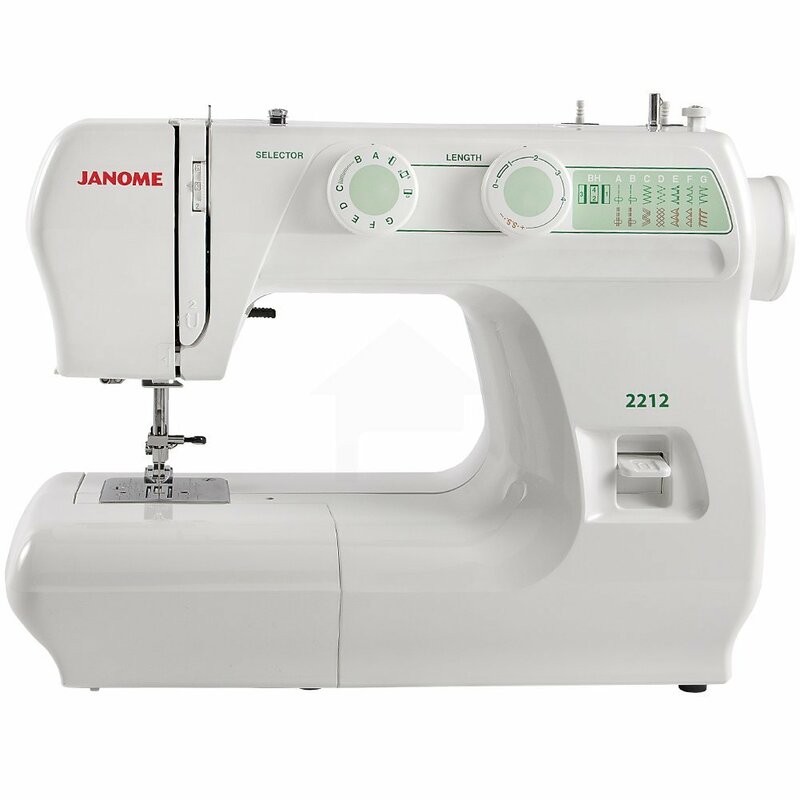 Is she getting a sewing machine for Christmas? Already have one and loves to use it? 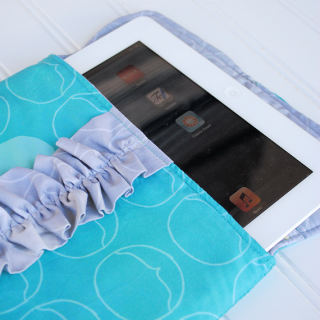 Wants to learn to sew this year? She wants fabric. Trust me. You may think she already has plenty? She wants more. Scared of buying fabric for her? A gift card is of course always an option (recommend Joann or Hobby Lobby for this). 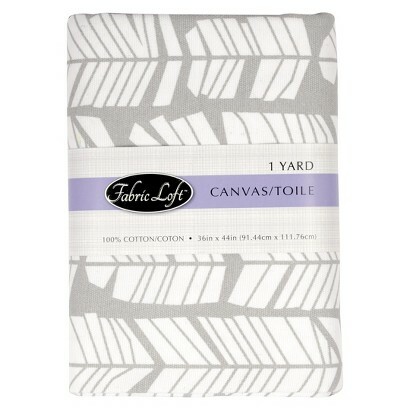 But did you know that you can even pick up fabric at Target? It’s precut and ready for you! You can handle this! #11: Thread-Along the same lines, if she sews, or is about to start learning, she needs thread. 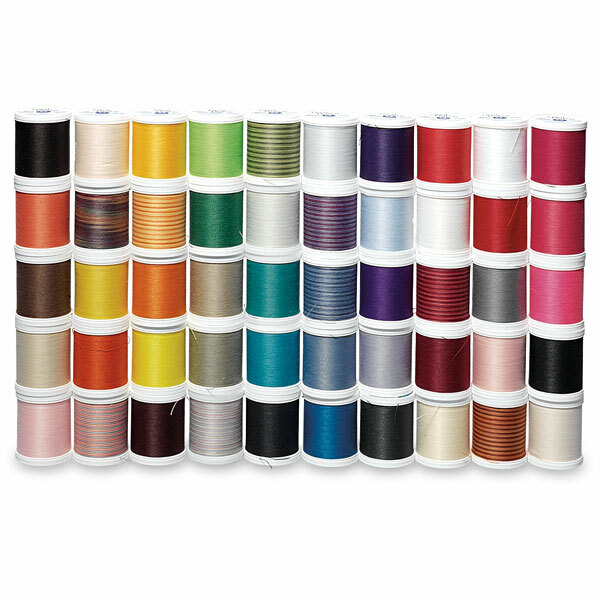 A full set of thread in all different colors would make an excellent (and easy) gift! I recommend the Coats and Clark Brand in the general purpose thread. Also a thread organizer can be very handy! #12: Paint Brushes-Simple for you to buy-something she can keep around not just for painting but for applying glue, glitter, and other things. Grab her a nice set of paint brushes. #14: Paper: If she’s a scrapbooker or a card maker she will love some fun paper, but even if she isn’t, paper can be fun. 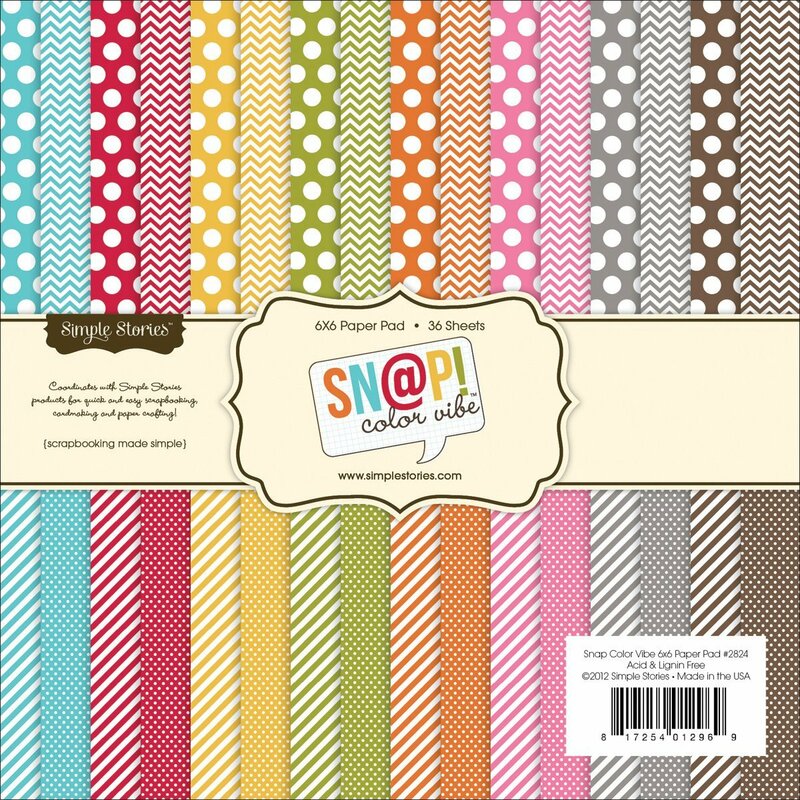 Get a pack of paper that is colorful and fun and she can use it for all different crafts! 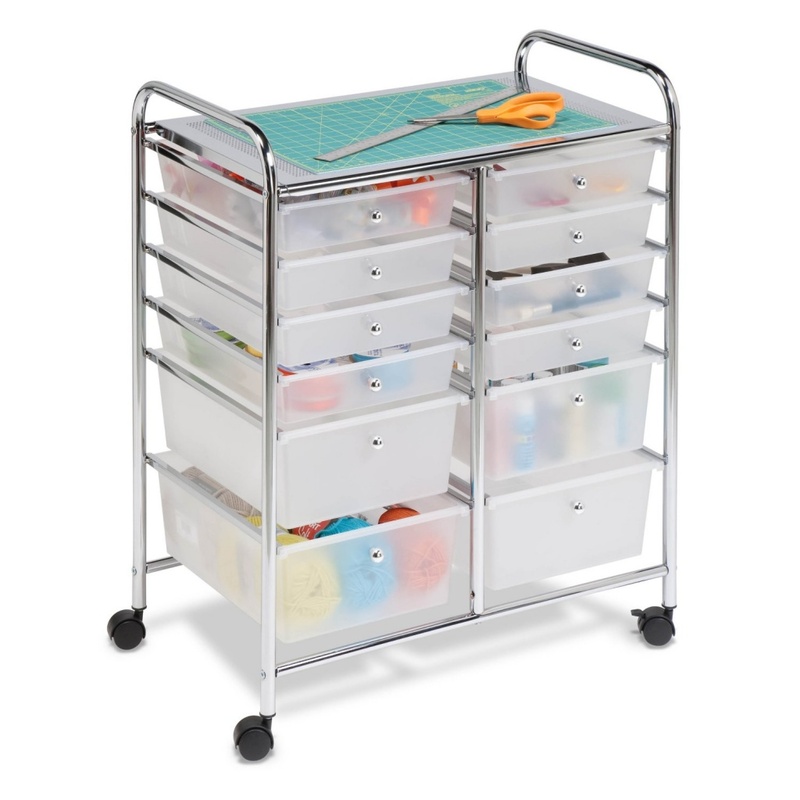 #16: Craft Table-This is a big ticket item but something many readers said they would love. 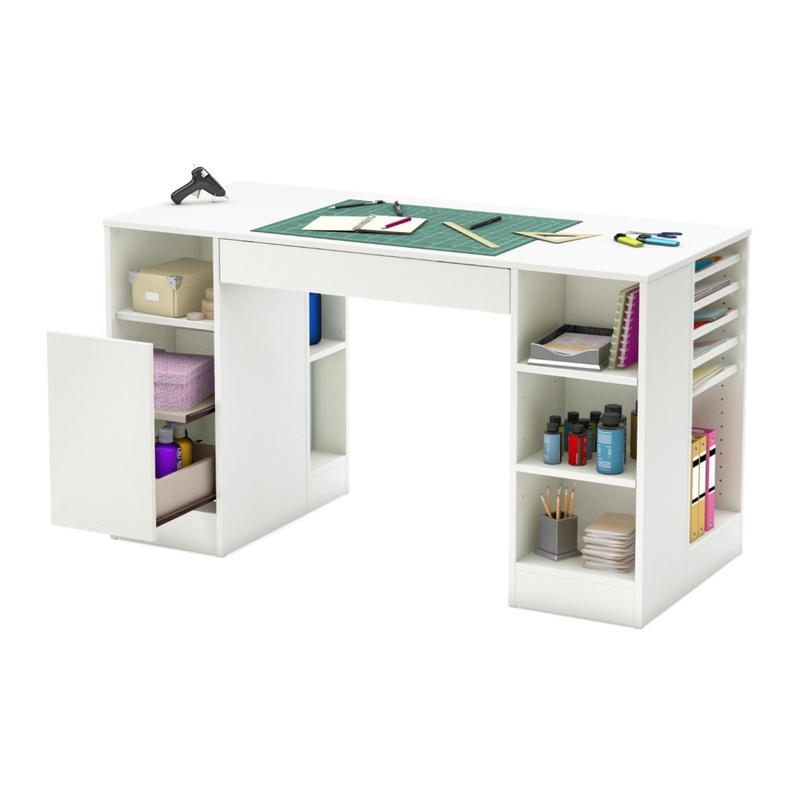 Some sort of craft table that is perfect for sitting at while crafting and also storing craft supplies. #17: Washi Tape-Never heard of washi tape? 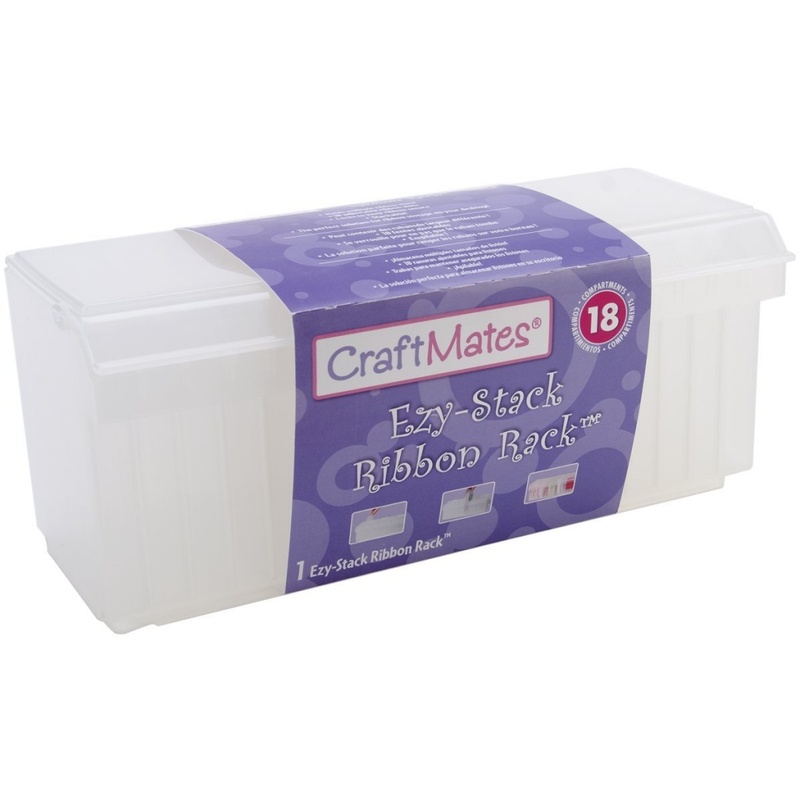 It’s a decorative masking tape that can be fun to use on all kinds of crafts. You can buy it by the roll at many craft stores or you can buy it in a big pack like this. #18: Vinyl-I love using heat transfer vinyl to make fun shirts, pillows, banners and other things. Vinyl can also be used to decorate the home or make signs. 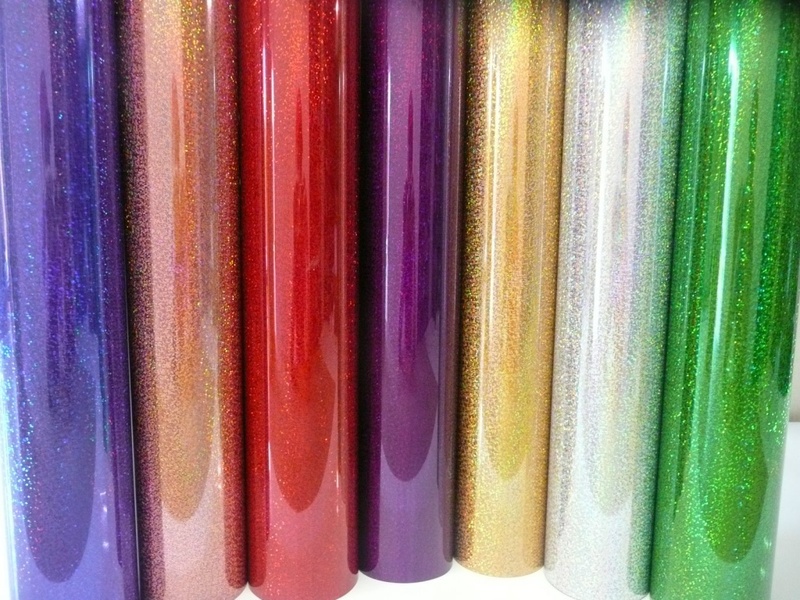 My favorite is glitter heat transfer, but you can find all types of vinyl at Expressions Vinyl here or you can get it on Ebay. 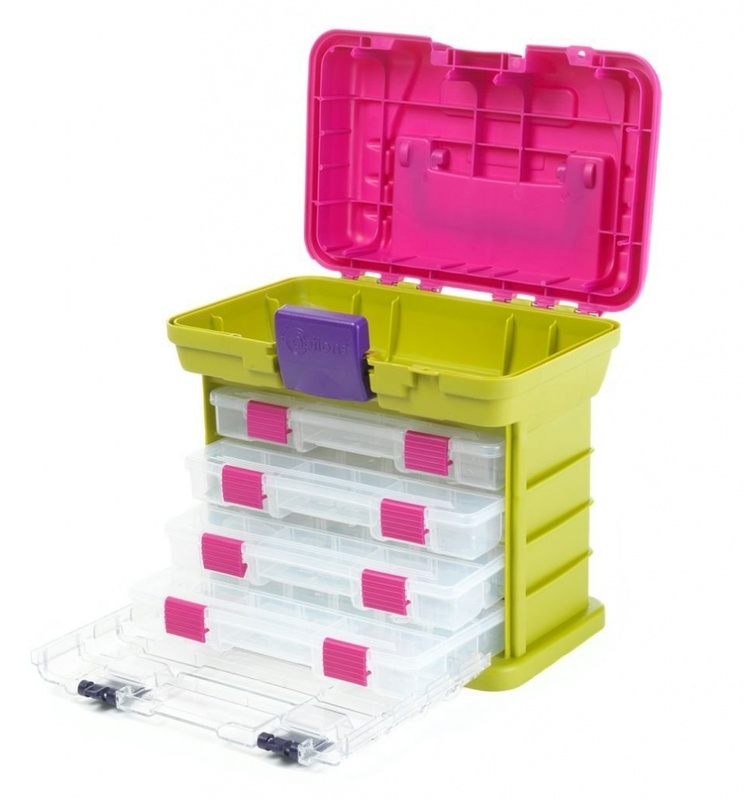 #19: Project Life Supplies-This is a popular line of craft supplies right now for people who like to scrapbook or document life but like to keep it simple and quick. I think of it like the instagram of scrapbooking. 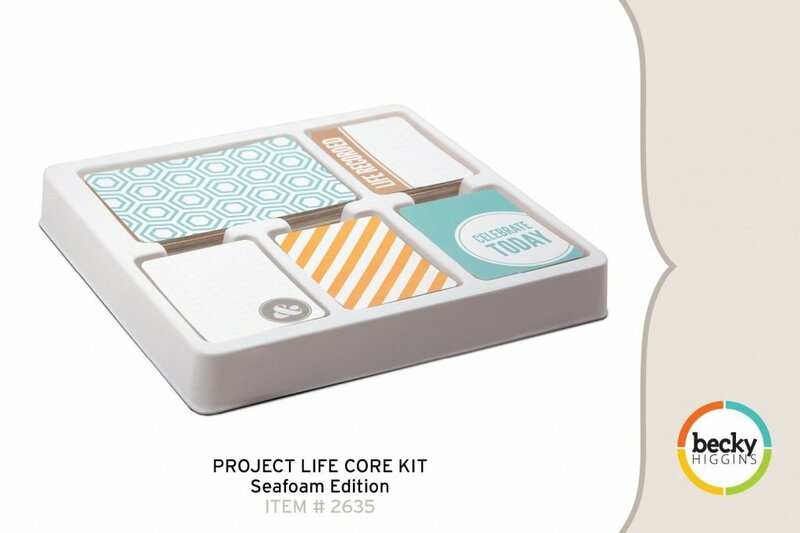 Get her a starter kit for Project Life! #20: A Craft Class! This one might be a little unconventional, but that’s a good thing! She won’t be expecting it. Is there a craft skill she would like to learn? Something she would like to improve on? Sign her up for a craft class online at Craftsy. They have classes in sewing, baking, photography, painting, quilting, cake decorating, drawing, knitting, you name it! Search through classes here and pick one you think she will love! 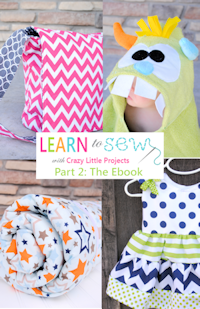 Or…and this is a plug for myself…maybe she would love a Learn to Sew eBook! This book will teach her things like how to read a pattern, how to sew on knits, understanding sewing on a bias and more! That is the biggest give-a-way I have ever seen. I think I would have died and gone to heaven. I don’t have twitter or instagram, but I filled out the rest. Gheeeeeeee I hope one day I get lucky enough to win. Thanks for sharing you are an angel for sure. I love the new one. Thanks for heads up. Also if I win anything I will share with my friend that has several illnesses, she is a great crafter and on a limited income. I’ve been sewing since I was in 8th grade. Can’t imagine not being able to create new products. Thanks for you blog and ideas. 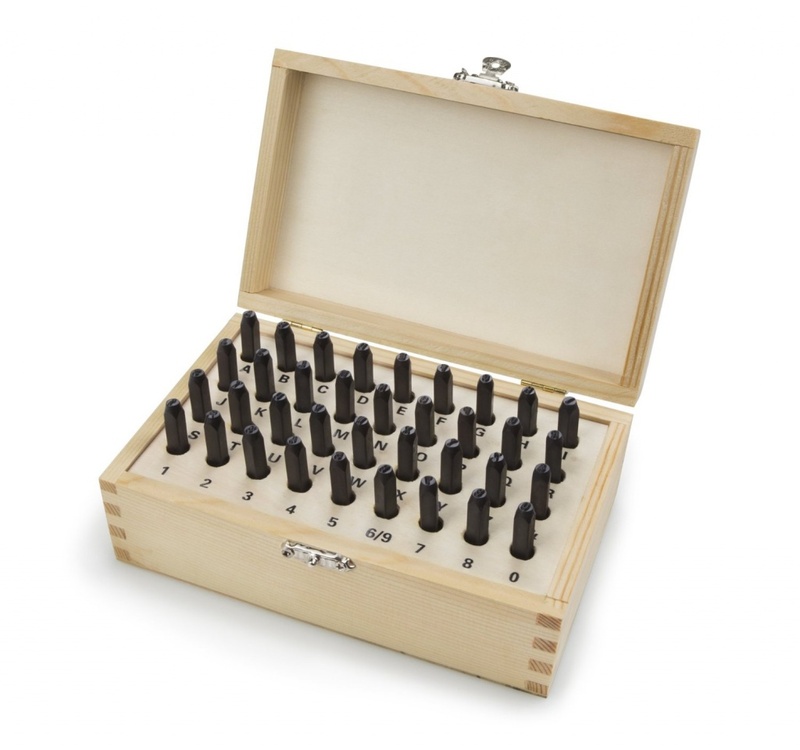 Ohmigosh – dreaming about what I could do with this would keep me awake at night! What an amazing giveaway! 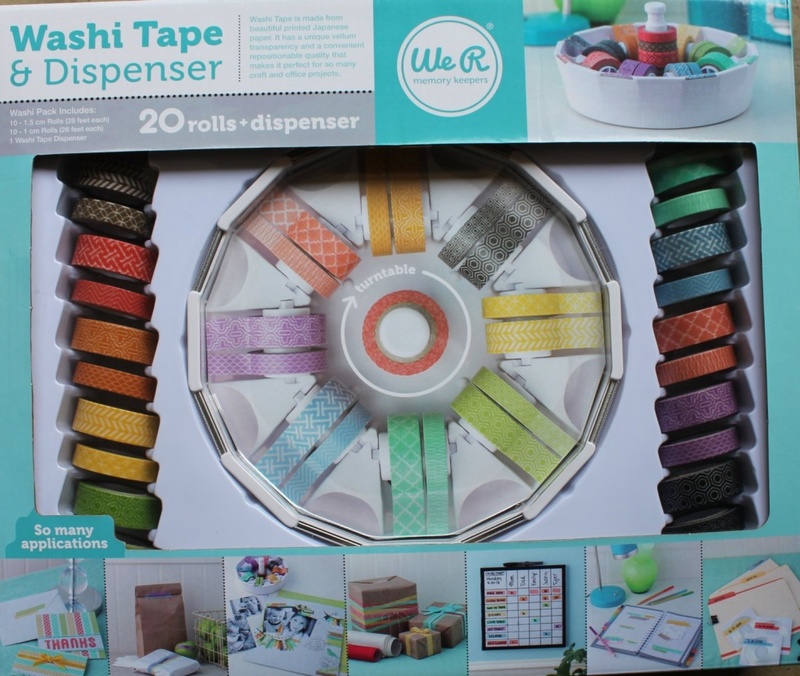 Love all these, but would LOVE to have the Washi Tape Gift Set for my wrapping room! Omgosh I have been wanting this for soo long!! THANK YOU for wonderful giveaway just in time for Gift Crafting. Keeping fingers crossed. So excited! Thank you so much for the giveaway! I hope I get lucky!!! This is fantastic. Just an FYI, the link in the Rafflecopter for your Instagram account isn’t working. Thank you so much for offering an opportunity to win this awesome product! You rock!!! 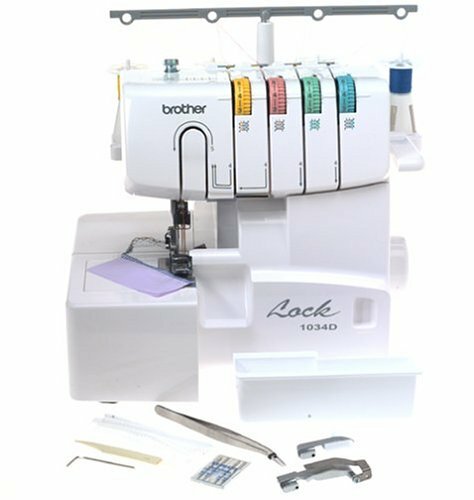 I was going thru the list and the online item I do not already own is a Serger. Would love to own the new Cricut Explorer. It is on my Christmas wish list. Absolutely love this!! And the give away too! Would make life so much easier! Would love to have a cricut. It would be so much fun to craft with. So many neat things,My daughter and I would love to have a Cricut Explorer,all the other creative stuff to get started.Holidays are here Birthdays are coming and WOW What a Wonderful Giveaway! Thank you for the chance to win this Awesome prize! I have been a quadriplegic for 14 years. I have started crafting again and the idea of possibly winning one of these machines really excites me. My husband has been great by making adjustments/adaptations so that I am able to use the computer. I wanted to coss stitch my niece’s wedding invitation for her to hang on her wall and after a few weeks of making the pattern on excel, I was ready to start cross stitching. Because of my paralysis it was difficult for me to do the actual stitching. Once again my husband saw my frustration not being able to do this project, he came to my rescue and figured out a way for me to start & finish this wedding gift. My niece’s mother (my sister) liked it so much that she asked me to do one for her. Actually 34 years ago I did my sister’s wedding invitation for her for a Christmas present. I used a picture of hers to help make the pattern for my niece’s. This all may sound like a simple task and for most people it would be, but for someone with limited usage of their hands this was a major accomplishment. 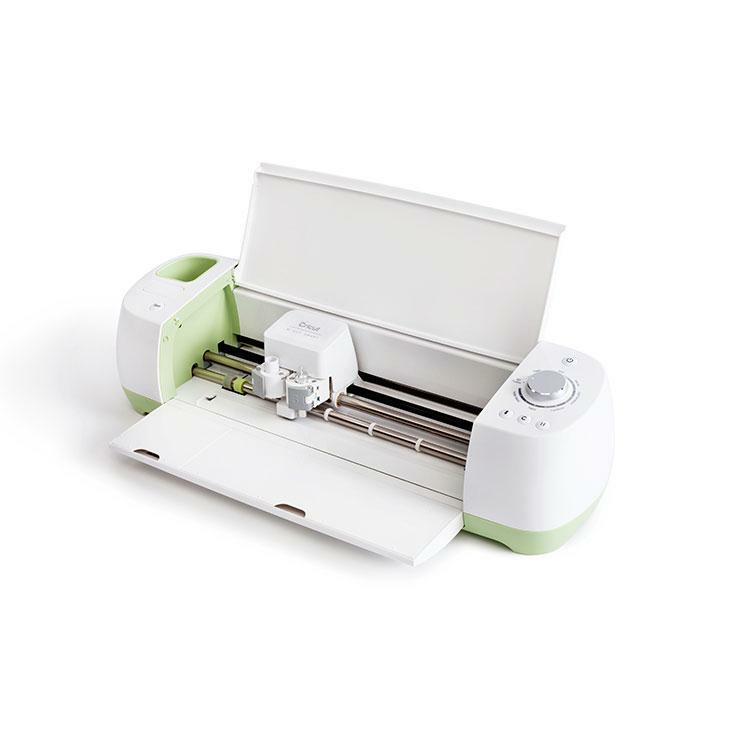 Well now that I have rambled on and bored most of you, I think one of these Cricut Explore machines is just what I need! Do you sell your stuff on Esty? You should if you don’t. Our church had a Fall Bazaar/Vendor Day a couple of weeks ago. I sold a few things. My goal I set for myself is to do one project a month so that I can have a variety of things to sell. I am hoping that luck will be on my side and I will win the Cricut machine! :>) my income is very limited so buying one is not an option. Thank you for the suggestion. If you have an email address send it to my email and I will show you a picture of my cross stitch. Thanks for the change for the Cricut! I would love to have a Cricut. How much fun to use it cutting out applique shapes to add to projects for my grandbabies. The Crichton would be awesome! And who ever has enough thread? What a great giveaway, anyone would be blessed to win it. Good Luck everyone! I would love the Cricut. I would add to my collection of “Toys”. thank you for sharing you talent with all of us. It is really appreciated! Thanks for sharing your ideas. I have been looking at crickets for a while but they are a bit pricey as are the cartridges. You can do some of the things online with cricut but I use cartridges with mine. so not sure why you say no cartridges. I love this Gift Guide. it is AMAZING!! The giveaway is AMAZING as well, thank you! 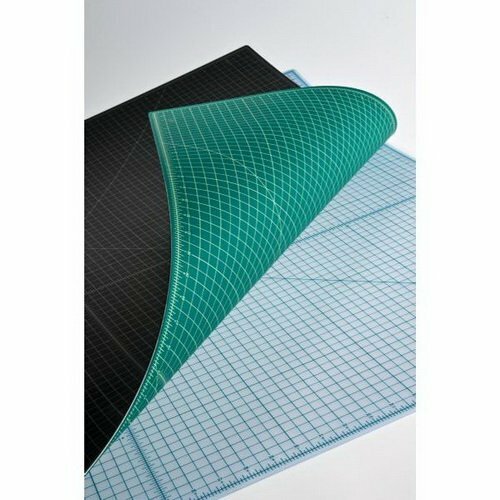 It would be a great way to get back into scrapbooking and paper project again with a treat like this. 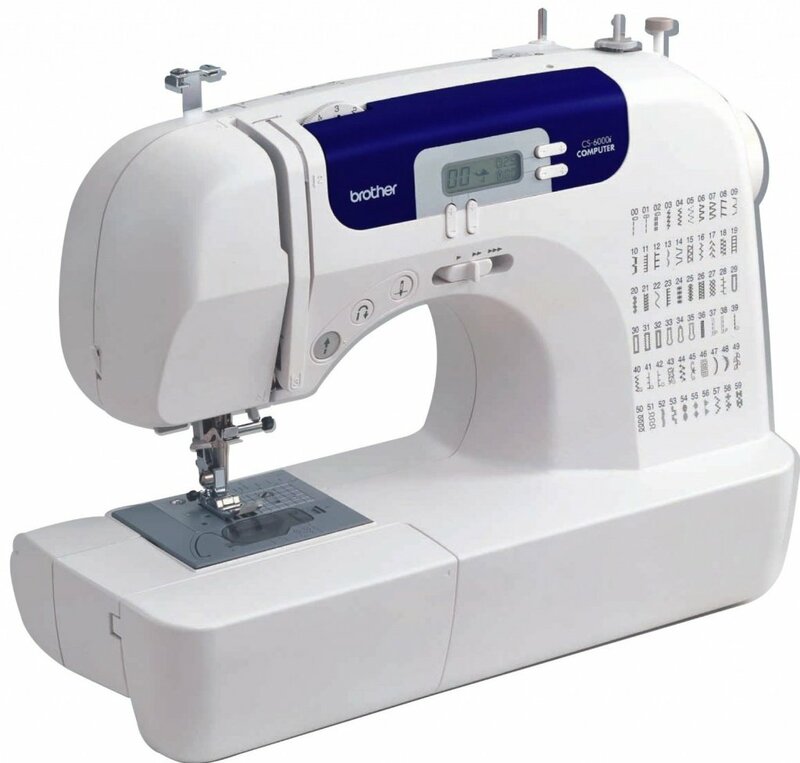 I cater for a living this leaves me little time to craft and sew this would help me get to the sewing part sooooo much faster, I would Love to have this!! Thank you for the chance!! How many times can you enter the contest? 20 grand children and counting. 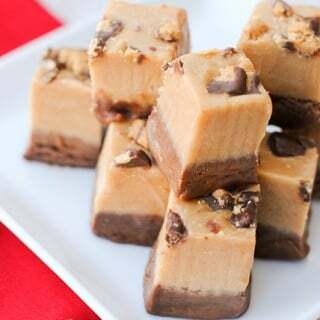 your ideas are life savers for birthday, holidays, sleep overs. thank you so much. wow! What a fantastic giveaway! I love to do crafts and these supplies and tools would be so appreciated. I would be very busy, no one would see me for days. Awesome giveaway !!!!!! This would be great to use at a crafty activity for the young women in my ward one of the best giveaways!!!! I love crafting. It takes me away from every day life. Always loved crafting, and it sure helps stretch the dollars to give something nice made by oneself! I love that TIME made the top three. SOOOO TRUE!! !